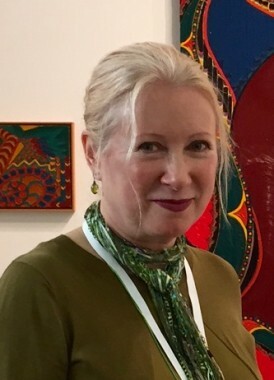 ACCOLA GRIEFEN FINE ART represents and offers work by Modern and Contemporary artists, with a primary focus on important American and Native American women artists. Private dealers Kristen Accola and Kat Griefen uniquely combine more than fifty years of experience in the field including special expertise in Feminist Art and art of the European CoBrA movement. We offer advisory services to both established and emerging collectors and welcome inquiries from those wishing to consign works from their collection. Since 2011, Accola Griefen has presented work in all mediums by contemporary artists at major international art fairs and in gallery exhibitions. Accola Griefen’s exhibitions have been reviewed in publications including ArtNews, Art in America, The New York Times, The New Yorker, New York Magazine and Sculpture Magazine among others. Works by their artists can be found in the collections of the Whitney Museum of American Art, The Metropolitan Museum of Art and the Museum of Modern Art, in addition to many other public and private collections across the country and internationally. Recent sales include works by Georgia O’Keefe, Judy Chicago, Cindy Sherman, Louise Nevelson and Hannah Wilke. In the last year works represented by Accola Griefen have been placed in the collections of the Smithsonian Museum of the American Indian, the Portland Art Museum and the Library of Congress. Kristen Accola is an art dealer and a curator. From 1978 until 1993 she worked at Lefebre Gallery, the leading gallery representing CoBra artists in the United States. For three years she was the Director of Special Projects at Gary Snyder Fine Art in Chelsea. In addition Ms. Accola spent fifteen years as a chief curator, ten, as Director of Exhibitions at the Hunterdon Art Museum in New Jersey. She has curated over ninety solo and group exhibitions, including a 2008 museum exhibit of contemporary Cuban artists working in Havana and a major survey of prominent Outsider Artists for Bristol-Myers Squibb Corporate Headquarters. Many of her curatorial projects were reviewed in the New York Times and other major art publications. Ms. Accola has also lectured widely and written numerous catalogue essays. In 2008 she opened her first gallery, Accola Contemporary in New York City. Ms. Accola attended Brown University before graduating from Rhode Island School of Design in 1978. Kat Griefen is an art dealer and an art historian. From 2006 until 2011 Ms. Griefen was the Director of A.I.R. Gallery, which was founded in 1972 as the first non-profit gallery for women artists in the United States. She has been a Senior Lecturer at Rutgers University, New Brunswick and has also taught in the Graduate Program in Liberal Studies at Rutgers University, Camden. Ms. Griefen is on the faculty at Queensborough Community College in the Art and Design Department with a focus on Gallery and Museum Studies. She has lectured widely at other institutions including New York University, Washington University, The Brooklyn Museum, The Museum of Art and Design and the National Academy Museum among others. Ms. Griefen is a Board Member of the Feminist Art Project. She has a M.A. in Art History from Hunter College and a B.A. in Art History and in Women Studies from Purchase College. Griefen is also a Board Member of Arttable. Both Kat Griefen and Kristen Accola are members of ArtTable and founding members of AWAD, the Association of Women Art Dealers.